Nestled in West Coast Park, Botannia is the epitome of a home built in perfect harmony with nature, surrounded by low-rise landed property and lush greenery. Botannia emphasises on clean lines and natural ventilation, perfect for those seeking a bright, breezy environment. Botannia comprises of 493 units of 2 to 4-bedroom apartments and penthouses. Every unit enjoys well-appointed and superbly finished living spaces with large windows, generous balconies and plentiful natural sources of light contribute to a wonderful outdoor/indoor feel. At Botannia, relax and melt away all your tensions with a few laps in the lap pool, workout at the well-equipped gymnasium or enjoy a billiard game in the clubhouse, which is ingeniously integrated into Botannia’s graceful landscaped terrain. Located just minutes away from West Coast Road and Clementi housing estate, residents of Botannia will enjoy the convenience of having amenities close by. 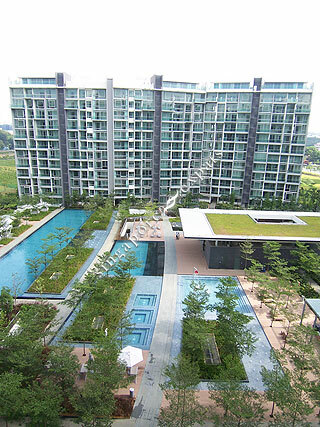 Botannia is accessible via the nearby Ayer Rajah Expressway (AYE) and West Coast Highway. Commuting to the Central Business District (CBD) takes about 15 minutes. Perfect environment to call home. With a high density of trees in close proximity in the estate, Botannia's landscape is truly breathtaking. There are also various species of birds living amongst the trees in the estate, and enjoy the beautiful chirping of birds. It is definitely a place for nature lovers. Also a family oriented and friendly environment, families and kids gather in common areas to mingle and play. Western and asian expats take self arranged outdoor yoga classes together. RESORT HOME away from home. Botannia is a contemporary luxurious condominium situated at West Coast Park Singapore in prime district 05.This resort styled development is definitely a tropical heaven on earth where you can escape from pressure of daily life. You would relish in luxurious warmth every time you return to this dream home. You can have a leisure swim in the 50m lap pool, exercise enthusiasts can work out in the gym/fitness corner, have a game of tennis, run along the jogging track, suntan at the pool deck, chill and relax at the steam bath, bring your kids to the playground and have a BBQ session with friends and family. There is also a clubhouse, billiards room, entertainment room and 24 hours security here. The myriad of in house facilities exclusively created for residents will pamper you to the max.